MADISON — State Senate fiscal hawks show no sign of retreating on their reform-first position on transportation. They want to continue on the path of reforming the waste-plagued Wisconsin Department of Transportation, maintain the focus on fixing the real transportation troubles at hand, and protect Badger State taxpayers. In his first State of the State address last week, the new governor announced he would create a transportation task force led by Craig Thompson, Evers’ DOT secretary-designee. Tiffany and other conservatives say they want to give the Democrat governor the benefit of the doubt and they will wait and see what the committee recommends to Evers. But conservative hawks aren’t likely to be on board with a gas tax increase, something Evers has said he’s open to. That bold pledge from a liberal with a grow-government agenda came just a few days before November’s election, in an incredibly tight race with incumbent Republican Gov Scott Walker. Earlier this month, however, an Evers’ spokeswoman said the governor would consider a hike to the state’s 32.9 cent-per-gallon fuel tax in his budget proposal, something he repeatedly said he was open to throughout the campaign. Tiffany said he would not be opposed to bolstering transportation using the additional $2.1 billion in new revenue expected to fill the state’s coffers over the course of the next three fiscal years, according to state projections. “If we need the money in the department of transportation … let’s take it out of growth,” the senator said, asserting that there’s still more money to be squeezed out of an agency that for too long wasted and misspent taxpayer money. After spending billions of dollars in recent years on mega projects in Milwaukee and southeast Wisconsin, he said it’s time to “focus on the rest of the state,” particularly rural roads. “I’ve never ruled out that perhaps maybe there should be more revenue going into the DOT, but first of all you have to have the reforms, because if you give the money first, you don’t get the reforms,” Tiffany said. State Sen. Duey Stroebel (R-Saukville) helped lead legislative charge to rein in waste, pushing legislation to repeal Wisconsin’s prevailing wage law, which has significantly decreased project costs. He also drove a bill that swaps federal money on road projects, minimizing the number of projects bogged down by expensive federal red tape. Former DOT Secretary Dave Ross took over a mess of an agency and made big strides in turning the bloated department around. A Legislative Audit Bureau report in January 2017, the same month Ross began his tenure, documented systematic waste, fraud and abuse throughout the state highway program that resulted in current projects running billions of dollars over budget. But will DOT Secretary-designee Thompson, a transportation lobbyist by trade, “blow up” the reforms Ross and his team put in place? He had better not, Tiffany warned. Several Republican senators have expressed concerns about Thompson’s lobbying past, and his old alliances with the state’s road builders. 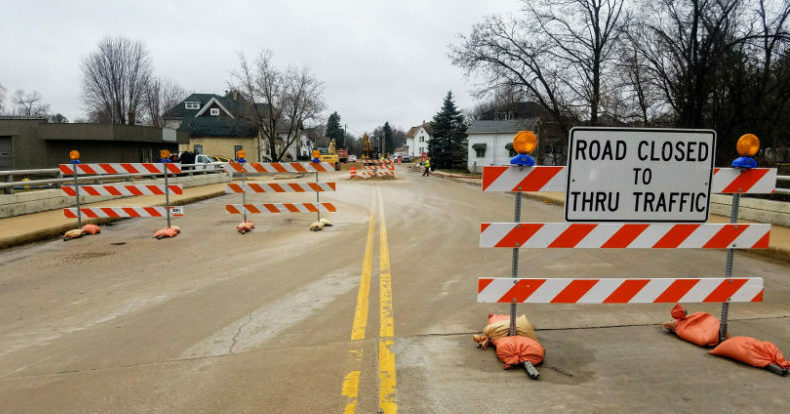 Thompson’s Transportation Development Association is behind the “Just Fix It” campaign, pushing a “crisis” narrative about Wisconsin’s transportation infrastructure. TDA’s allies, Wisconsin’s Operating Engineers, led the so-called “Scottholes” ad campaign that targeted Walker in the last election. The former governor opposed gas tax and vehicular fee hikes. Thompson and his organization attacked Walker’s position on road funding at every turn, and he’s been handsomely rewarded by Evers. Fitzgerald and other Republicans say they will do their due diligence on Thompson and give him the opportunity to make his case. If the transportation battles ahead are anything like the last legislative session, there will be more division between Republican caucuses in the Assembly and Senate. Each had different philosophies on transportation funding. Republican leaders in both houses have said they are more determined than ever to work together in the face of divided government, with a liberal governor at the helm. “We’re going to give them every opportunity to do the right thing and then we’ll react when we see a budget a month from now,” the senator said.